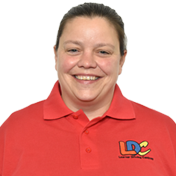 Hi I’m Nikki... My story before becoming a driving instructor was a varied but fulfilling one. I ran my own care company for 16 years and also worked in local pubs and restaurants and did cleaning for local premises as well. I have never been shy of hard but fulfilling work. I realised at a young age that I enjoyed helping and looking after others. Originally I worked in restaurants and bars where I built up my customer service skills and learnt how to treat others with respect. From there I moved into the care industry. I loved every minute of it and it was in this role I learned how to understand the needs of others in great depth. I can hear you questioning why I would then move into the driving instructor industry since enjoying the caring job so much. The answer is, I needed a new challenge which was not as physically demanding but still in a caring environment. I wanted a job with real satisfaction and there is nothing better seeing someone pass their test the first time. I was also always being told by friends and colleagues that I was a calm and relaxed type of person and that I would make a great driving instructor.